Knowledge, it’s said, is knowing a tomato is a fruit. Wisdom is knowing not to put one in a fruit salad. Pretty much ever since we started walking upright, our unquenchable thirst for knowledge has produced a raft of technological advances. Thanks to an evolutionary quirk of fate, as a species, we’ve moved from using stone axes to walking on the moon in a relatively short period. The pace and scale of our knowledge gets faster and broader – think of the things that have changed how you live in just a lifetime: penicillin, jet engines, nuclear power, the internet, AI. All this knowledge has been accumulated by visionaries with the kind of enquiring minds that rise above the mundane and the accepted. Consequently, we know an awful lot of stuff about an awful lot of stuff – but it does feel that the higher we climb the ladder of knowledge, the less we synthesise what we know into wisdom. Of course, for every step up the knowledge ladder, there’s the downward snake of unintended consequences. Knowledge is knowing how to split an atom. Wisdom says don’t make cheap nuclear reactors in Ukraine. Knowledge is the system that allows everyone to communicate on the world wide web. Wisdom is the reality of exploitation by drug dealers, scammers and money launderers. We shouldn’t stop creating new things on the basis of unimaginable consequences. But as we enter the fourth industrial revolution, as a society, we need to have a radical re-think about the relentless pursuit of knowledge. Why? Because according to the World Economic Forum, by 2020, creativity will be in the top three skills needed for future jobs. What jobs? The WEF also forecasts the majority of school children in school today will be doing jobs that don’t yet exist. Concurrently, arts-based subjects at GCSE are down by around 25 percent and there are fewer people applying for humanities subjects at university. Creativity, it appears is, being swept aside by the juggernaut of knowledge. The more enlightened educationalists warn about the teaching out of creativity in our kids. The argument goes that our modern education system is based on a hundred-year-old model aimed at producing people fit for an industrialised society. That’d be the dark, satanic mills-sort. Inspirational educationalist, Sir Ken Robinson, claims that modern school curriculums are ultimately about aiming to make everyone a university professor – at the expense of a more rounded education and, crucially, creativity. The current emphasis on teaching science, technology, engineering and maths (STEM) over humanities – especially creative arts – underlines this. Today’s teaching is encourages a “right answer” culture says Professor John Last, Vice Chancellor of Norwich University of the Arts, when creativity is stimulated by occasionally being wrong. There’s an academic inflation time bomb ticking at universities, too. Schools are churning out more kids who have been taught what to think – not how to think. But universities, faced with a demographic dip in uni-aged young people plus cold, financial pragmatism, respond by offering more and more unconditional places for young people, many for whom a degree will be worthless. Employers are now understandably concerned. The traditional hooverers-up of graduates openly suggest not bothering with uni, we’ll teach you as a junior, or an apprentice. Their experiences have largely been very satisfactory, with a marked reduction of dropout rates and greater productivity among those they’ve taken as their own. The NHS is a huge repository of knowledge. Loads of it. Clinical, management practices, technological and the rest. And it’s brimming with skilled, passionate people. But, as an entity, it too lacks creativity in a number of areas. When it comes to assessing how the NHS is doing, the focus seems to be on output and activity, at the expense (literally) of outcomes. Just as teaching is being taught in a manner that’s easy to measure, it’s about the what, less the how. And, as in the educational sector, the NHS risks becoming a culture where creativity is stifled by the relentless pressure to know, and to do rather than to think. It’s a gross generalisation – and it’s easy to suggest that, in the interests of being creative that it’s OK to be wrong sometimes when you’re not responsible for someone’s life – but NHS’s creative thinkers have to be given the encouragement and environment in which to flourish. So, for sake of our nation, let’s promote and celebrate creativity. It has to start with education – which should be about much more than facts and exams. 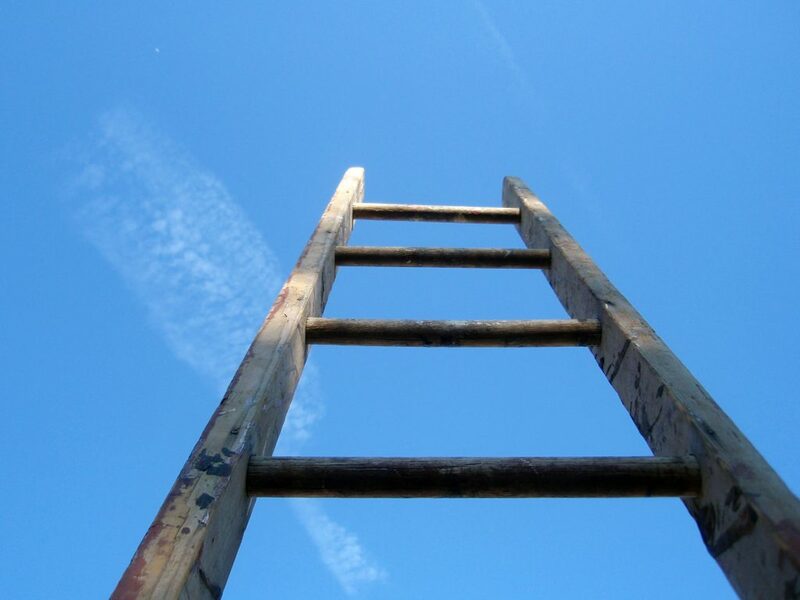 Let’s encourage people to scale the ladder of knowledge – but let them put tomatoes in their fruit salad if they want to. They’ll soon learn.